Check out the Silky brand's woodworking saws and carpentry saws for both the professional and hobbyist. We carry a number of saw types including the HIBIKI extra fine tooth saw, the DOZUKI style WOODBOY (X-fine teeth). 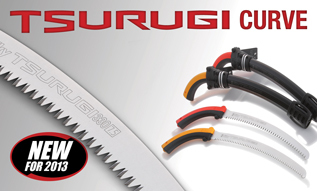 We also carry the TSUBASA, OYAKATA, and MASTER hand saw / folding saw models. Laser-cut, impulse hardened blades for exceptional performance and incredibly long service life are the hallmark of all Silky wood working saws.